Samajwadi Party Leader Azam Khan made yet another sexist remark on his Opponent & BJP Candidate in Rampur Lok Sabha Constituency. Here is what the controversial leader said, 'I brought her to Rampur. I didn't allow anybody to touch her body. It took you 17 years to identify her real face but I got to know she wears khaki underwear in 17 days'. 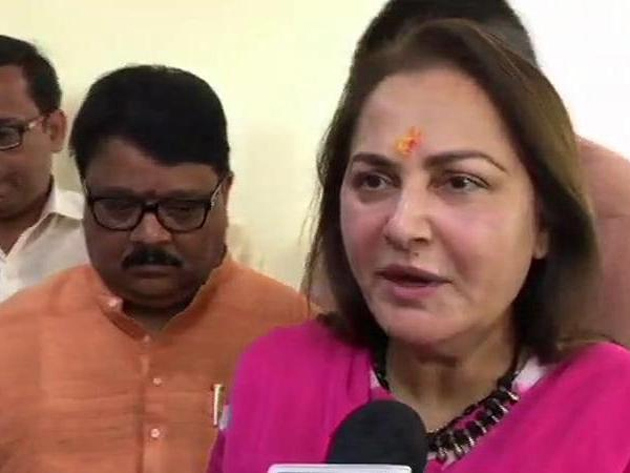 Reacting on the derogatory remark, Jayaprada shot back: 'Should I die? Only then he will be satisfied. He thinks that I will get scared and run away. No, I won't!'. The Actress demanded Azam Khan should be barred from contesting elections as victory to someone like him will pose a threat to the democracy. 'Being a woman, I can't even repeat what he said about Me. I don't know what did I do to make him say such things about Me. 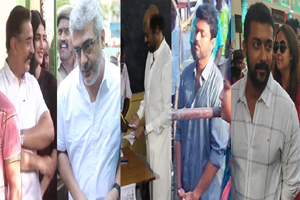 If he wins, There will be no place for women in the society. Where will we go then?,' she asks. Post the backlash, Azam Khan took an u-turn and told his comments weren't meant for targeting Jayaprada but someone else. Only "Intros" To Cost So Much Of RRR Budget? Can Naresh Make A Comeback With Maharshi?